The price of copper suffered its seventh straight day of declines on Thursday, losing more than 3% in New York to $2.8205 or $6,220 a tonne on the Comex market, its lowest level since July last year. It was one of the busiest days of 2018 on commodity futures markets with with over 2.3m tonnes of September copper worth $14.6 billion exchanging hands by mid-afternoon. 2018 star performer nickel also succumbed on Thursday, becoming the last of the base metal complex to drop below its 100-day moving average at $14,200 a tonne. Zinc's woes continued and the metal is now down nearly 20% year to date. 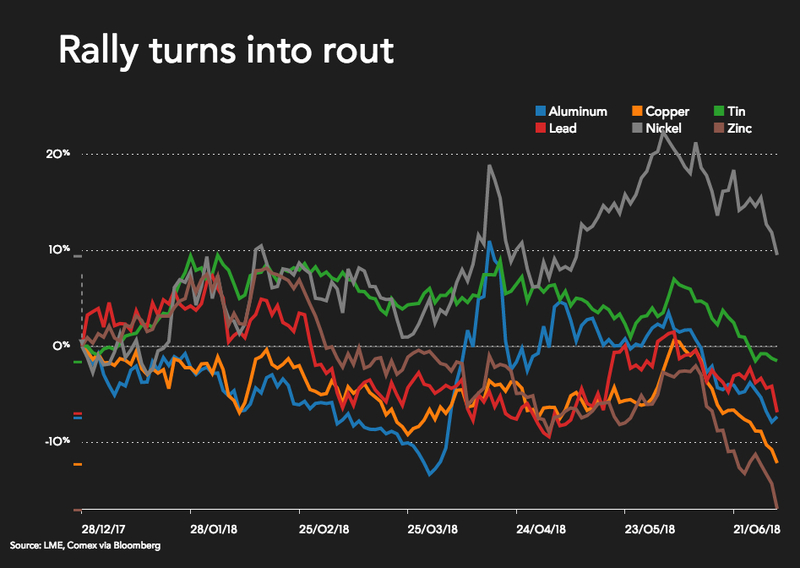 Reports out on Thursday suggest the trade spat between the US and China, responsible for half the world's consumption of copper, could quickly turn nasty. President Trump's 25% tariffs on more than 800 Chinese goods worth $34 billion kick in midnight Friday. 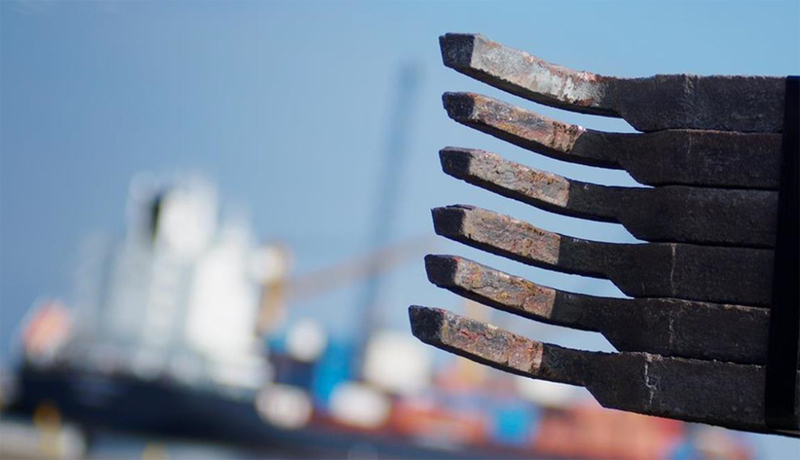 The latest round comes a few months after duties on steel and aluminum exports from China and other countries went into effect. Investment bank Goldman Sachs poured cold water on the notion that a trade war represents a serious threat to raw materials, saying most of them aren’t likely to be significantly impacted, and after recent declines now’s the time to buy. Growth in global industrial production and manufacturing output appears to have peaked in the first-half of 2018, suggesting that resource commodity prices may generally have set their highs for the cycle. Raw materials have been hurt by growing concern among global investors about the potential impact of the trade tariffs planned by Washington, and the threatened Chinese response. In June, the Bloomberg Commodity Index suffered its biggest monthly slump since mid-2016. Demand fears are also combining with strong supply growth this year. Industry body ICSG estimates world copper mine production rose 7.1% or by 330,000 tonnes during the first quarter of this year although the numbers were flattered by a strike at the world's largest copper mine Escondida in Chile in Q1 2017. Owner BHP is currently locked in negotiations with unions at the mine after the 44-day strike in 2017 ended without a deal.